Winter Cities shake-up offers speakers spreading "cool" ideas about living in cold climates! Adrian Stimson is a member of the Siksika (Blackfoot) Nation. He has a BFA with distinction from the Alberta College of Art and Design and MFA from the University of Saskatchewan. He considers himself as an interdisciplinary artist; he exhibits nationally and internationally. His paintings are primarily monochromatic, they primarily depict bison in imagined landscapes, they are melancholic, memorializing, and sometimes whimsical, they evoke ideas cultural fragility, resilience and nostalgia. The British Museum recently acquired two paintings for their North American Indigenous collection. His performance art looks at identity construction, specifically the hybridization of the Indian, the cowboy, the shaman and Two Spirit being. Buffalo Boy, The Shaman Exterminator are two reoccurring personas. He is also known for putting his body under stress, in White Shame Re-worked, he pierced his chest 7 times, recreating a performance originally done by Ahasiw-Muskegon Iskew, crawled across the desert in 110 degree heat for What about the Red Man? For Burning Man’s The Green Man and recently dug a TRENCH in a five-day durational performance sunrise to sunset. His installation work primarily examines the residential school experience; he attended three residential schools in his life. He has used the material culture from Old Sun Residential School on his Nation to create works that speak to genocide, loss and resilience. His video work includes “As Above So Below”, for With Secrecy and Despatch, Campbelltown Arts Centre, NSW Australia 2016, using drone cameras to create a 2 channel video played cinematically on the gallery wall, which spoke to colonial genocide through massacres on our traditional lands. He was a participant in the Canadian Forces Artist Program, which sent him to Afghanistan. In 2018 Adrian was awarded the Governor General Award in Visual and Media Arts. He was awarded the Blackfoot Visual Arts Award in 2009, the Queen Elizabeth II Golden Jubilee Medal in 2003, the Alberta Centennial Medal in 2005 and the REVEAL Indigenous Arts Award –Hnatyshyn Foundation in 2017. A trained architect and an advocate for all the elements of lighting – design, education and research – Dr. Amardeep M. Dugar is the founding principal of Lighting Research & Design. After completing a Masters degree in Architectural Lighting from University of Wismar/Germany, he pursued a Ph.D. from Victoria University of Wellington/New Zealand to solidify his academic and professional leadership role into a career at a higher level. Aside from working on high profile projects and teaching at several architecture schools, he has been instrumental in conducting lighting workshops educating students and professionals about the importance of lighting in urban spaces. Ashleigh Mattern is co-owner of Play Sask Sports & Recreation, which is bringing the unique winter sport of yukigassen to Saskatoon. An outdoor winter team sport with rules similar to dodgeball and capture the flag, Play Sask is hosting a Learn to Play Yukigassen event on Feb. 3 and a Snowball Fight Tournament on March 3. An entrepreneur and writer, Ashleigh is also co-owner of Vireo Productions, a web design and marketing company; and she writes for CBC Saskatoon. Professor of in the Department of Geography & Planning, and in the Regional and Urban Planning Program, University of Saskatchewan. Latest publication: Phenomenology of the Winter-City (2016, New York: Springer). Barb farms near Saskatoon, Saskatchewan with her husband John. Their agritourism location, Black Fox Farm and Distillery produces acres of fresh cut flowers for upick along with grains, fruits and flowers to transform into award winning gins, vodkas, liqueurs and whiskies. They offer tours, tastings and several festivals throughout the year. John and Barb have been recognized as the Outstanding Young Farmers of Saskatchewan and Canada and were the SABEX Entrepreneurs of the Year 2018. Barb is a graduate of the University of Saskatchewan College of Agriculture, a Nuffield Scholar, recognized as an Outstanding Young Agrologist and was awarded an honorary life membership from the Saskatchewan Ag Grads Association. Bruce Gilmour is an Accessibility Specialist with Universal Access Design Inc. He has extensive experience advising clients on accessibility and inclusive design in the transportation, tourism and hospitality sectors. Although his specialization is in wayfinding for people who are blind or have low-vision, he has also provided broader advisory services on the improvement of parks and recreation programs and facilities. Bruce has worked extensively as a training and customer service consultant, teaching about disability awareness, wayfinding, inclusive design, as well as conducting simulation exercises. Bruce’s applied expertise is built on a foundation of lived experience – since becoming blind over 30 years ago, he has been navigating with the use of a white cane and a guide dog. Bruce looks forward to helping participants in his simulation exercise to experience navigation of a winter city environment without the use of their eyes (while blindfolded), and to achieve a better understanding of how winter cities can be made accessible for people with low vision or blindness. 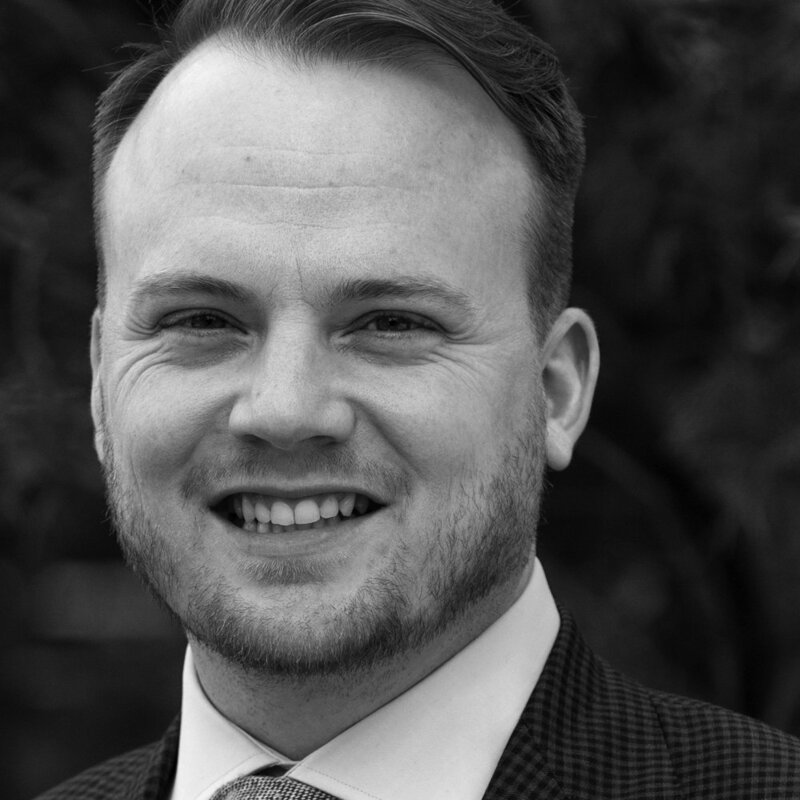 Born and raised in northern BC, Chad Carlstrom is a community consultant with Urban Systems. He strives to improve the places we live in and encourages applying creative thinking tools to arrive at implementable solutions. Chad is always searching for solutions across multiple disciplines to support a happier society. Chad embraces winter city design principles and seeks to implement strategies and thoughtful design to create livable communities in all seasons, for all ages. Dan is a Winnipeg-based community planner with Urban Systems who works with local governments and First Nations across western Canada and Ontario. His passion for winter is integrated in much of the planning work that he is involved with. His typically incorporates a “winter-lens” to projects ranging from Community Plans to Age-Friendly Action Plans and beyond. The foundation of his winter planning approach is incremental in nature and focuses building “Winter Citizenship”, the recognition that being a vibrant winter community is an undertaking that requires all hands on deck, including community organizations, business groups, general public and other key stakeholders. He looks forward to sharing his experiences in winter planning and tapping into the cumulative knowledge of conference attendees. Hailey Rilkoff is a current student in the Master of Community Planning (MCP) Program at Vancouver Island University. Her research interest in planning for winter conditions evolved through observations of the adverse effects winter conditions can have on mobility and the use of outdoor public spaces. She believes that winter should be a celebrated season and aims to influence communities to shift their perceptions on what it means to design and program the public realm for year-round use and enjoyment. She is interested in working in small to mid-sized communities within Canada once she has completed the MCP program and currently lives in Vernon, BC. Isla Tanaka is a planner with the City of Edmonton's WinterCity Office. She holds a Master of Natural Resources and Environmental Studies degree from UNBC, where she explored urban outdoor recreation spaces in winter cities. She has helped plan two international winter cities conferences, and has presented on winter design in Canada and Mongolia. Isla has raised two children in northern communities in Alberta and BC, and her favourite winter sport is cross-country skiing. Jenna D. Gabrysh was born in Saskatchewan and has also lived in northern BC and Manitoba. She works as a motivational speaker and an educator on accessibility and difference-making. She holds a Masters degree in Public Administration with work experience at the municipal and provincial level of government. 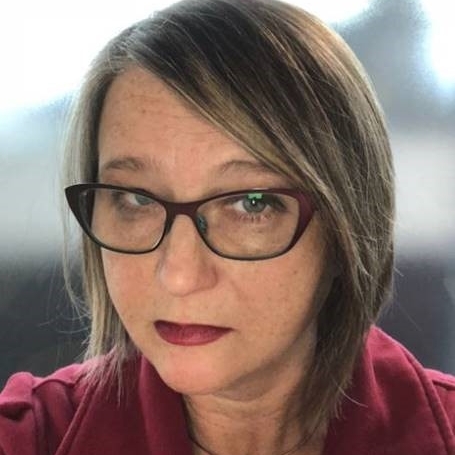 Jennifer is qualified to speak on accessibility issues with regards to winter cities; following a spinal cord injury over a decade ago, she has gained the unique perspective of someone with limited mobility who uses a wheelchair in a winter city like Regina. Her lived experience enables her to help others gain a better understanding of the challenges of accessibility in winter cities. She is looking forward to guiding participants in a simulation exercise in which they will maneuver a wheelchair through doors, along sidewalks and intersections, all while gaining a better understanding of how winter cities can be made more accessible for all residents regardless of their physical ability. Joe Van't Hof joined the Optimist Club of Saskatoon in 1992 and has been a member for the past 26 years. Throughout these years he has held multiple positions within the club including Club President and has achieved various distinguished Club designations and awards. Joe was married in 1989 and has made Saskatoon his home with his wife and 2 daughters. He currently works for OUTFRONT Media as a National Account Manager and been involved with Media for the past 30 years in Saskatoon. A few years ago, the Optimist Club of Saskatoon resolved to create a winter legacy for the City of Saskatoon. From here, a project was born to create a Winter Recreation Park and Lifestyle Activity Center at Diefenbaker Park in Saskatoon. Joe Van't Hof and Rob Letts are the co-chairs of this initiative and have been working together for the past 5 years spearheading the Optimist Hill Campaign “Build the Hill” Project and believe there is a great need for Permanent Winter Recreation in the Saskatoon Area. Phase 1 of the project will be to “Build the Hill.” The vision for this phase is to enlarge the existing hill at Diefenbaker park by approx. 30 feet and create several attractions such as groomed snow tubing lanes, a snow terrain park, a snowboarding/skiing area, a smaller hill for children and beginners, and an enhanced – free tobogganing area. The park will also have 2 magic carpet (conveyor belt) lifts allowing children and families to get to the top of the hill with ease. The members of the Optimist Club believe strongly in giving back to our community and are certain that this project will provide children and families with affordable recreation activities that will promote a healthy lifestyle and encourage fitness and overall wellness in the community. Kari Leibowitz is a Stanford Interdisciplinary Graduate Fellow in Social Psychology at Stanford University. Her research investigates the impact of mindsets – thoughts, beliefs, and expectations – on health and well-being. She received her BA in Psychology and Religion from Emory University, after which she served as the Program Coordinator for the Emory-Tibet Partnership for two years. In this role, Kari organized the 2013 visit of the Dalai Lama to Emory, and served as the Program Assistant for the Tibetan Mind/Body Sciences program in India. From 2014-2015, Kari served as a U.S.-Norway Fulbright scholar, during which time she lived in Tromsø, Norway, north of the Arctic Circle, and studied mindsets about winter. Kari’s writing has appeared in The Conversation and The Atlantic. Liz Wreford (OALA, AALA, MALA, SALA, CSLA) and Peter Sampson (OAA, MAA, FRAIC) are the co-founders and principal designers of PUBLIC CITY, a hybrid urban, building, and site architecture practice working in Winnipeg, Toronto, and Calgary. As landscape architect and architect, Liz and Peter work collaboratively in design without division or professional territory. They continue to focus their professional efforts towards a design practice that is open, comprehensive, raw, and playful. In doing so, they have produced award-winning landscape architecture and architecture commissions at a variety of scales and have been recognized by Azure and the Globe and Mail as one of Canada’s most exciting emerging architecture practices. Melody Culanag has both an Engineering and Interior Design background. Her passion in lighting began in Singapore with more than 10 years’ experience in lighting industry. She completed her Master’s degree in Architectural Lighting Design and Design Management with distinction from renowned lighting design school, Hochschule Wismar/Germany. She recognized the need for professionals working in lighting design to tackle spaces in a far more holistic approach; addressing socio-cultural, environmental, and economic factors which is beyond traditional quantitative approach and recently founded LightandMe - first company in prairies practicing Architectural Lighting Design and one of the few in Canada. Most recently, Melody, together with 4 other lighting designers, were shortlisted out of 90 entries in the PLDC’s 2017 International Future Urban Lighting De-sign Competition in Paris, France. Her Master Thesis, “Human Behaviour and Perception Through Different Lighting Strategies” was one of the selected academic posters for the Illuminating Engineer-ing Society (IES) 2018 Research Symposium on Light + Human Health in Atlanta, GA, USA. Michael is a partner and urban designer at Copenhagenize Design Co. – where he is deeply involved in working with clients around the world to develop winning strategies and innovative designs for bicycle-friendly infrastructure investments. As the head of the firm’s new North American office in Montreal, Michael is currently working with cities and governments across Canada and the U.S. to leverage many lessons from Copenhagen’s numerous examples of best-practice design and policy. He has a diverse background in urban planning, project management, design and visual media and a Master of Planning from McGill University – on top of years of experience cycling on Danish best-practice infrastructure. Norman Pressman is Professor Emeritus of Planning and Urban Design in the School of Urban & Regional Planning, University of Waterloo, Canada and founding President of the Winter Cities Association. Known worldwide, he has published extensively and lectured internationally on the subjects of public policy, design, and urban development with emphasis upon cold-climate regions. He has consulted for United Nations agencies, orchestrating colloquia on human settlement planning in northern areas, and since 1984 has been invited to speak about this issue in Sweden, Norway, Finland, Denmark, Iceland, Germany, France, Switzerland, Austria, Canada, the USA and Japan. His book Northern Cityscape: Linking Design to Climate, published by the Winter Cities Association, was recipient of the Canadian Institute of Planners Award for Planning Excellence bestowed in 1996. This book was translated into Japanese in 2002 and launched at the Winter Cities Forum held that year in Aomori, Japan. At the present time, he is a consultant and lecturer in northern urban design and policy formulation, and resides in Waterloo, Ontario, Canada. 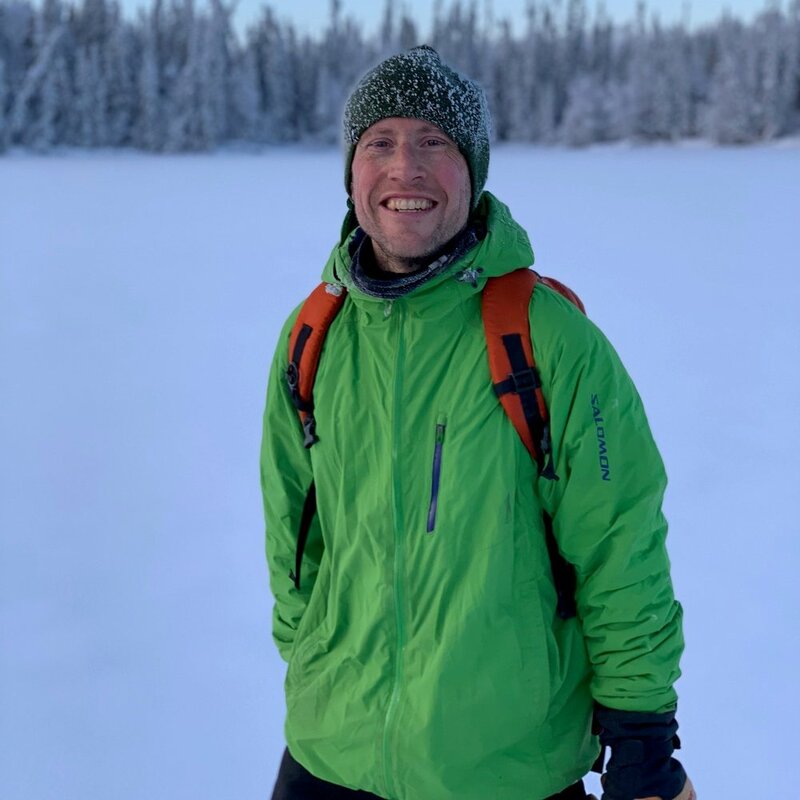 Patrick Coleman, AICP is an urban and town planner whose firm, North of 45 LLC, provides services in the snowy and cold upper Great Lakes Region, as well as in Alaska. He has been a member of the American Institute of Certified Planners (AICP) since 1986. He holds Master’s and Bachelor’s degrees in Urban and Regional Studies from Minnesota State University-Mankato. Mr. Coleman has been recognized internationally as a leader in promoting the concept of livable winter cities for many years. He has conducted extensive research on planning and design practices of northern cities around the world, has applied this knowledge in the planning and design of northern cities, and leads the Winter Cities Institute, providing resource materials and technical assistance in support of the concept of the livable winter city. Paul Constable graduated ACAD in Calgary, 1976, majoring in Visual Communications. He had a 30year career as an Art Director / Senior Graphic Designer and illustrator. Working at The Marketing Den for 23 years (now LMNO), he helped market and develop brand identities for clients like Great Western Brewery, Blue Cross Insurance, Saskatchewan Crop Insurance, SaskTel and designed over 100 Hospital Home Lottery campaigns across Canada. In 2000, as owner and Director, he formed ArtistsInCanada.com, now Canada’s largest Canadian Artist’s website and Social Media Directory. It connects over 8,700 Canadian artists to art patrons, art galleries, curators and other art interested viewers. Artists in Canada also sponsors art events like Art Vancouver and ArtNow - Saskatchewan. In 2016 he developed an independently managed Pension Plan for Canadian Visual Artists. Paul’s fine art career started the moment he could hold a paint brush. Now as a landscape painter, printmaker and Sculptor / Installation artist his work has become multi-facetted. Today his artwork depicts a strong social and environmental undertone. Paul sits on the CARFAC Saskatchewan Board and is a past Board Member of the Saskatchewan Craft Council. He has had numerous solo shows and public exhibitions and selectively juries, curates, lectures and gives workshops. His work can be seen at the Saskatchewan legislature, in corporate and personal collections across Canada and Internationally. Ryan O’Connor is an urban planner who specializes in projects related to public realm and active transportation. At 8 80 Cities, Ryan leads inclusive and creative community engagement strategies and works with diverse partners to launch low-cost, high-impact urban projects. Through this work, Ryan is committed to ensuring everyone can participate in the creation of public space and mobility networks in their city. He holds a Master’s in community and regional planning from the University of British Columbia. Sabine De Schutter is an independent lighting designer and entrepreneur. She founded her architectural lighting design practice – Studio De Schutter" in 2015 in Berlin. She has worked on projects ranging from creative lighting for working environments, to museum lighting and installations for public spaces. With her human-centred approach to design and architecture, she strives to blend this mindset into all her projects and collaborations. As a multifaceted entrepreneur, she also works at the Faculty of Design at Wismar University of Applied Sciences and at the HPI School of Design Thinking. 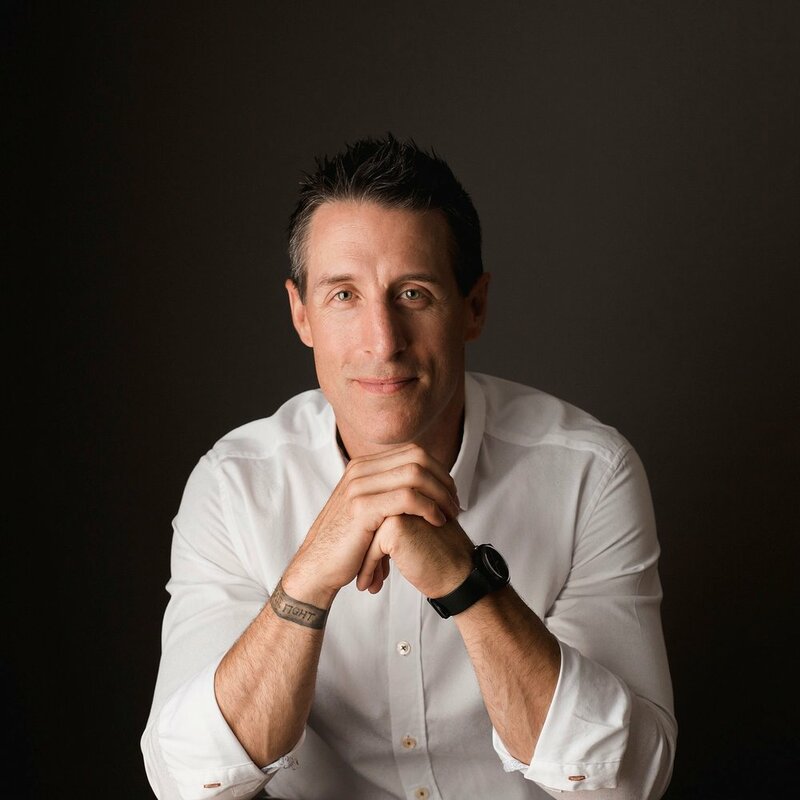 Steve is a certified professional trainer and coach with the world-class organization, Blair Singer Training Academy. Blair Singer himself is a Rich Dad Advisor to Robert Kiyosaki and has worked with thousands of individuals and businesses in over 25 countries. Blair teaches people how to change behavior quickly, increase sales and build championship teams. Using tools learned from his mentor and including his own unique formula, Steve teaches people how to set the right goals and make meaningful changes to obtain them. In doing so he instills the joy and fulfillment of personal and professional achievement through happiness and success. Steve is a dynamic and inspirational speaker that keeps crowds engaged and on the edge of their seats. Sue is the manager of the WinterCity Edmonton initiative. She was the project manager during the development of the WinterCity Strategy and is now the lead for implementation of this broad and holistic award winning initiative. An urban planner by background, she has worked in 3 countries for an NGO and 3 local governments. She was the chair of both the 2015 and 2017 international Winter Cities Shake-Up conferences in Edmonton. Tracey Klettl’s roots run deep in the mountains and valleys of Jasper National Park. Her ancestors were the indigenous guides and scouts that originally inhabited the area, and Tracey was born and raised hiking and horse back riding along these same ancient trails. 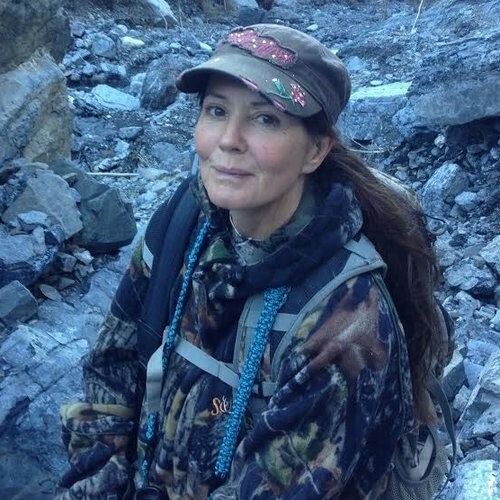 Tracey combines her experience with a life long pursuit of education and has become a qualified instructor in Hunter Education, Archery, Horseback riding and other guide training and tourism programs. She has kept true to the skills that have come naturally to her and utilizes this knowledge in her programs. Painted Warriors is an indigenous owned outdoor education company that was brought together from the combined idea of Metis operator Tracey Klettl and her husband Tim Mearns who is from the Cote First Nations of Saskatchewan. They operate within the tourism industry and as a training facility for traditional indigenous guides. Tracey and Tim’s Mandate is to educate and promote outdoor and cultural skills to students as well as visitors, they enjoying helping people to rebuild their relationship with the land. Tyler Golly is Toole Design’s Western Canada Market Lead with over 15 years of experience in multi-modal and active transportation policy, research, planning, and engineering projects. Tyler has developed cycling master plans and network plans for communities in Canada, the United States, and New Zealand with a focus on implementation. Through these projects, Tyler has applied evidence-based research to create the frameworks for the network plans while integrating the local priorities to evaluate and establish robust, implementable, and effective plans to meet community goals and objectives. With experience working in both the private and public sectors, Tyler understands the complexities of planning and designing multi-modal systems for all seasons and the care that is necessary to engage diverse interests in the decision making.